1949 version starring June Allyson, Elizabeth Taylor, Janet Leigh.�Considered by many as the best. 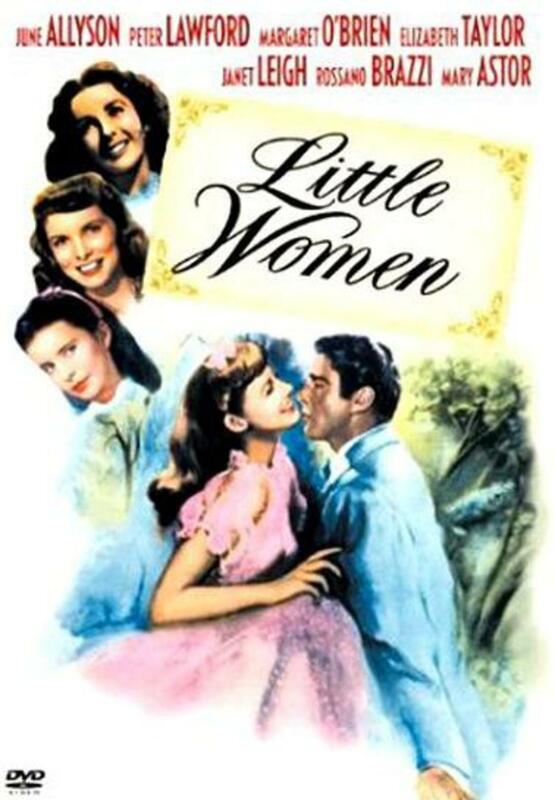 Of the many film versions of Louisa May Alcott’s Little Women, this 1949 adaptation is by far the prettiest. Set in New England during the Civil War, the film relates the various adventures of the March sisters: Jo (June Allyson), Beth (Margaret O'Brien), Amy (Elizabeth Taylor) and Meg (Janet Leigh). Jo emerges as the main character, as she leaves hearth and home to try her luck as a novelist in New York. Moments of high comedy (the sisters' amateur theatricals) are counter pointed with grim tragedy (the death of the youngest March girl), with romantic interludes provided by the faithless Laurie (Peter Lawford) and the loyal Professor Bhaer (Rossano Brazzi). Unlike Selznick’s 1933 Little Women or Gillian Armstrong's 1994 adaptation, this 1949 version tends to be more an extension of the old Hollywood contract-player typecasting system than a heartfelt evocation of the Alcott original. Even so, Little Women is consistently pleasing to the eye, especially when seen in its original Technicolor hues.